If you need a direct replacement for the Odyssey PC925, get the AGMFT410R so the terminals will be on the correct side. If you are looking for peace of mind then using a Fullriver Full Throttle FT410 sealed AGM power sports battery is your solution. Whether you own a airplane or ATV, boat or car, motorcycle or jetski this is the battery for you. This Full Throttle FT410 AGM Battery By Fullriver Battery will get the job done. Checkout the performance levels and specifications below. These batteries have been tested and tested. Pushed to their limits and more to really see how reliable and strong they really are. See the test result here… The FT410 is the perfect OEM upgrade when replacing the battery in your toy. 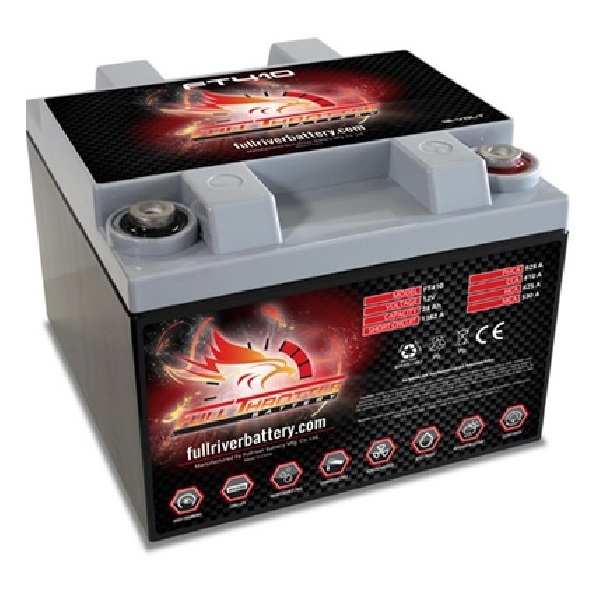 Be the first to review “Full Throttle FT410 AGM Battery By Fullriver” Click here to cancel reply.